Advantek Pet Gazebo Modular Outdoor Dog Kennel is high-quality (Amazon Choice Product), sturdy, built with non-corrosive material, the set-up is hassle free with affordable pricing. Let’s dive in to the full review. If you want to give your dog his/her own home, then a kennel is the first thing that comes to any dog owner’s mind, right. Of course, there is nothing wrong going for the traditional option. But there are many other innovative options out there that you might want to consider before rushing into buying a kennel. The Advantek Pet Gazebo is one such brilliant option. Here I am going to provide features, specifications, and various other details about the Advantek Pet Gazebo. 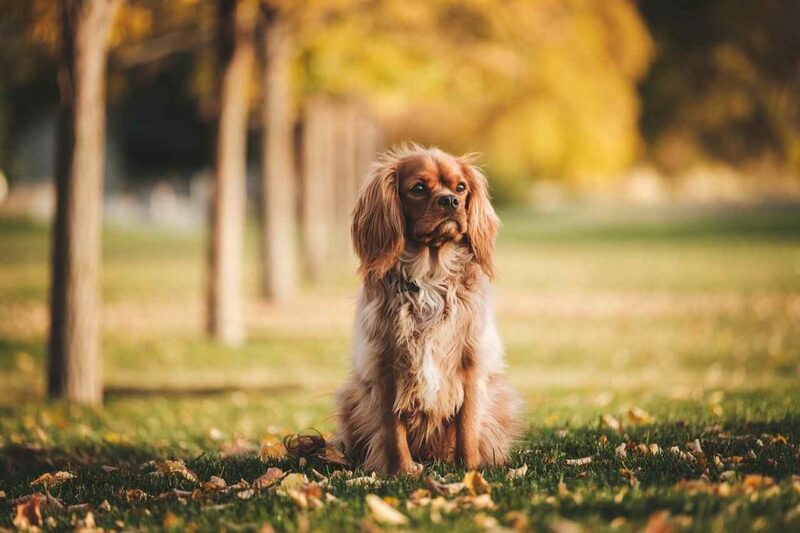 At the end of this review, you will determine whether or not this product is right for you and your dog. Merely by looking at the image of the Advantek Pet Gazebo, we can say that it is a very innovative form of space for your dog. It is better as compared to the regular crates. Crates provide appropriate space to relax but not enough room for your dog to move around. As we all know that it is extremely unsafe to let your dog roam around without any supervision. But confining your pet in a crate isn’t the best option either. 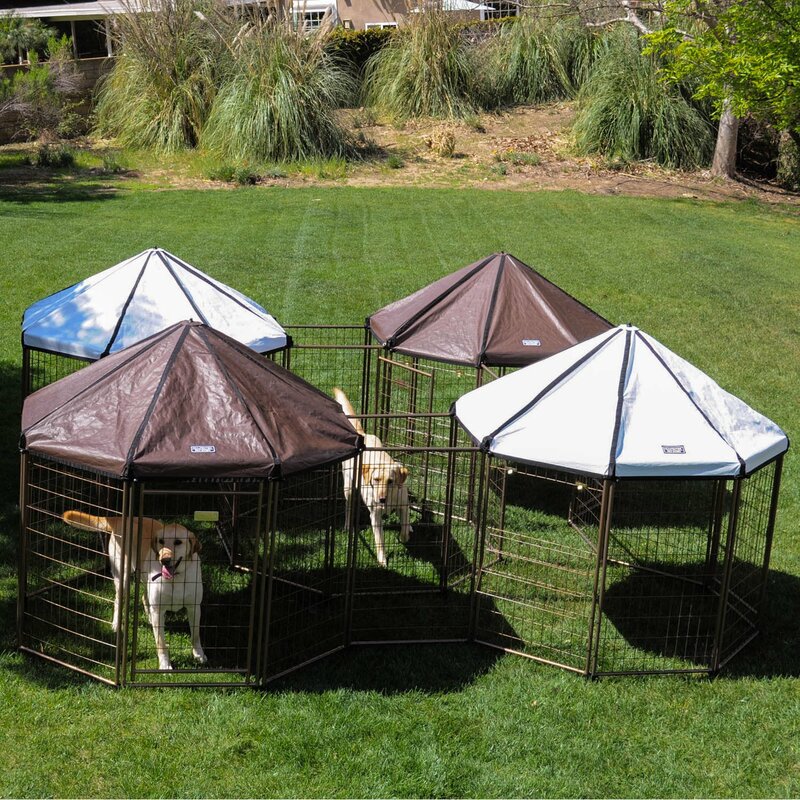 The Advantek Pet Gazebo provides a space for your dog to play around and relax at the same time. The owners don’t have to worry constantly about the safety of their pet. It has a reversible top that is held in place by bungee loops. If you frequently attend dog shows then this product can prove to be a lifesaver. Whether your dog simply wants to lounge around inside the house or enjoy the bright sunshine, this gazebo is perfect either way. Its sturdy design makes it appropriate for even the bulkiest pets. The best part of the design of the product is that you don’t require any tools to put it up. If you follow the instructions carefully, assembling it won’t be a big task. The manufacturer has used sturdy and strong steel to make up the bars. The steel bars are coated with a powder in order to prevent rusting and corrosion. Thanks to its portability you can easily pack it up and take it anywhere you like. You don’t have to fret over the harmful UV Rays or heavy rainfall harming your dog. The white shade reflects light and is water-resistant. It is made up of polyurethane and is weather-resistant. Tie back cables are present to completely secure the cover from being detached. 1. Small dog breeds- French Bulldog, Pomeranian, Pug, Chihuahua, Yorkshire Terrier, etc. 2. Medium dog breeds- Australian Shepherd, Dalmatian, Labrador, etc. 3. Large dog breeds- Alaskan Husky, Chow-chow, Siberian Husky, St. Bernard, Alaskan Malamute, Mastiff, Samoyed, etc. 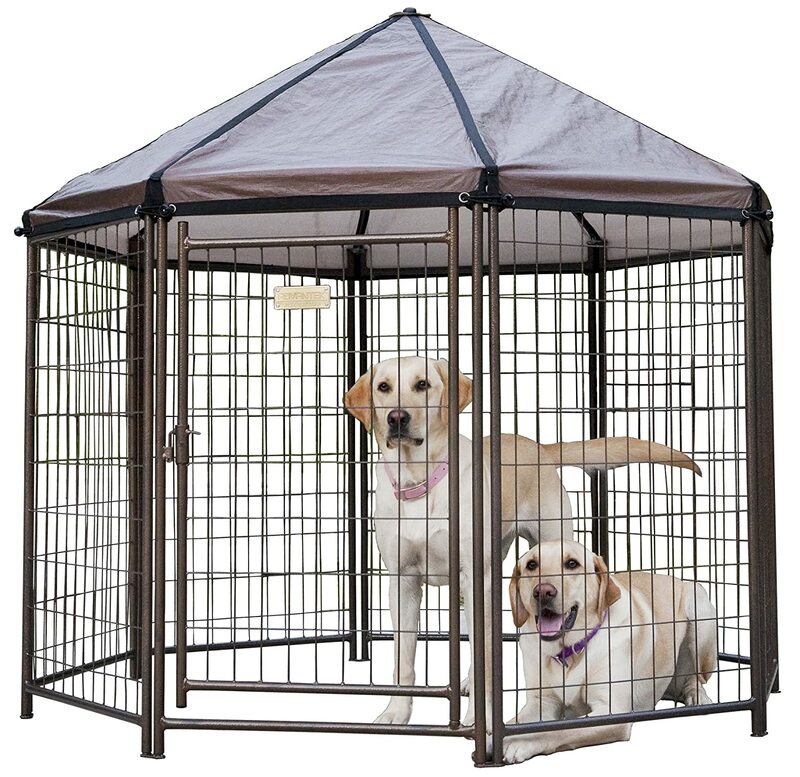 You can also put multiple puppies, dogs, and even other pets in this gazebo owing to its spacious interior. It is suitable for small, medium and large dog breeds. Although, I wouldn’t recommend putting more than two large dogs in the Advantek Pet Gazebo. This would make it difficult for them to move around. The product is available in three different sizes- small, large and the one that is suitable for holding multiple pets. If you own more than one of these gazebos, then you can also join them together to create a single large space. The Advantek Pet Gazebo is suitable for pets weighing up to 100 pounds. When the product is fully assembled, the dimensions are 60″ x 60″x 60″. The brand has also manufactured some accessories to improve the user experience of this product. These are- sun shade, tote bag, and a nesting box. The sun shade, as it is clear from the name itself, helps in providing enhanced sun protection. The tote bag carries all components of the gazebo. The nesting box is for chickens so that they can lay their eggs in a secure and private way. Although it is easy to assemble and disassemble the product, it requires a lot of time to do so. Although, setting it up is a bit difficult for a newbie. 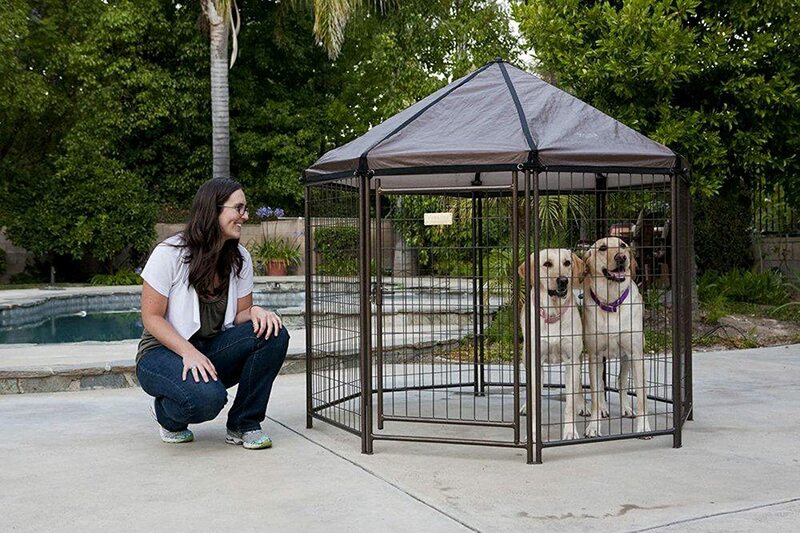 Due to its sturdy construction, most of the dog owners face difficulty in fitting this gazebo in their vehicles. With the help of this gazebo, you can go camping, adventurous trips, hunting, vacations, fishing, and much more! If you wish to fix a certain area for your dog without confining him in a crate then this is the perfect product for you. Although, if you want something that provides more room then you should go with Lucky Dog Uptown Welded Wire Kennel. (1) Best Crates for your dog – more reviews here.